I had the most wonderful experience this week – I attended ‘Shooting the West: The Nevada Photography Experience’ (www.shootingthewest.org). Mere words can not adequately describe this event, and I don’t have the photographic skill to do it justice, either. I attended a couple classes, met several people that I ‘knew’ through Facebook, made many new friends, and saw some amazing pictures. We started with ‘flash techniques’ for taking pictures of bright lights (such as casino lights) with a person in the foreground. Craig taught us a technique that allows the lights to shine but the person to be seen in the image. I have an image in mind – stay tuned. 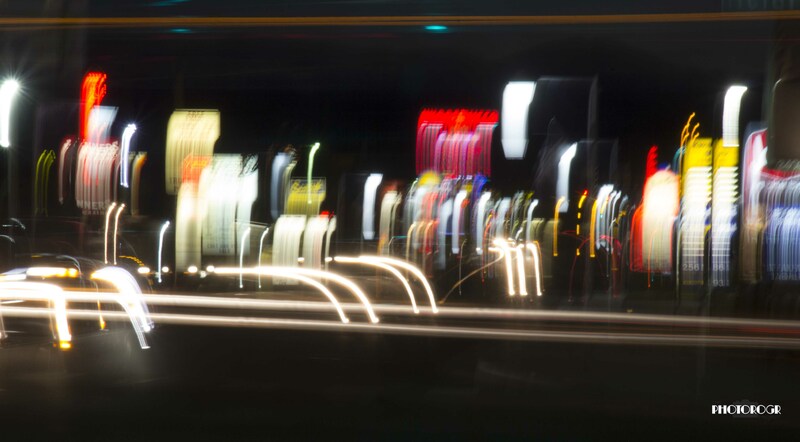 Then we played with long exposures, capturing lights from cars and nearby signage. I only took a few shots, but I enjoyed the technique. Visit my Shooting the West page and look at the image with the Winners Casino sign and the traffic signal – I got all the lights in the traffic signal. 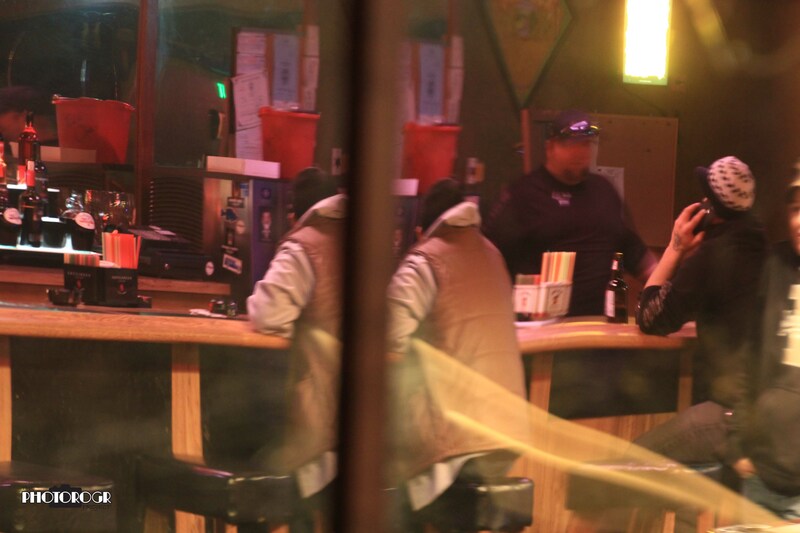 We stopped by a local night spot. 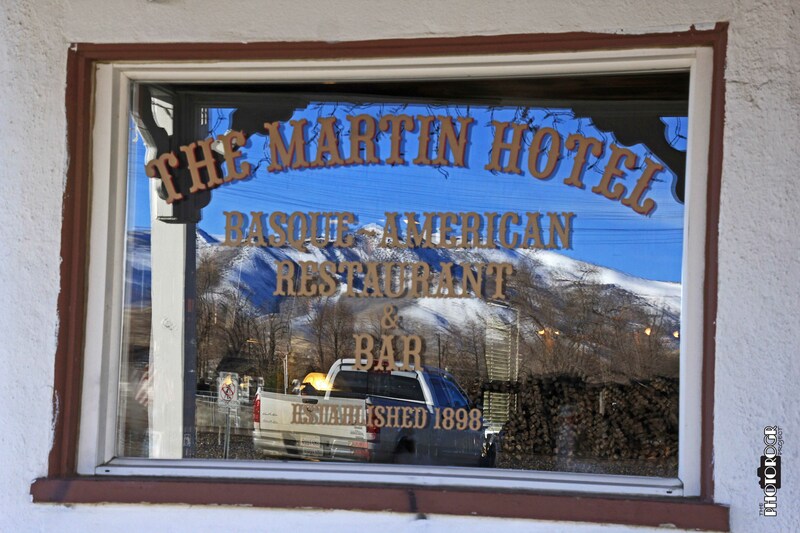 The patrons were very accommodating and allowed us to take lots of pictures. I saw this great image in the mirror. 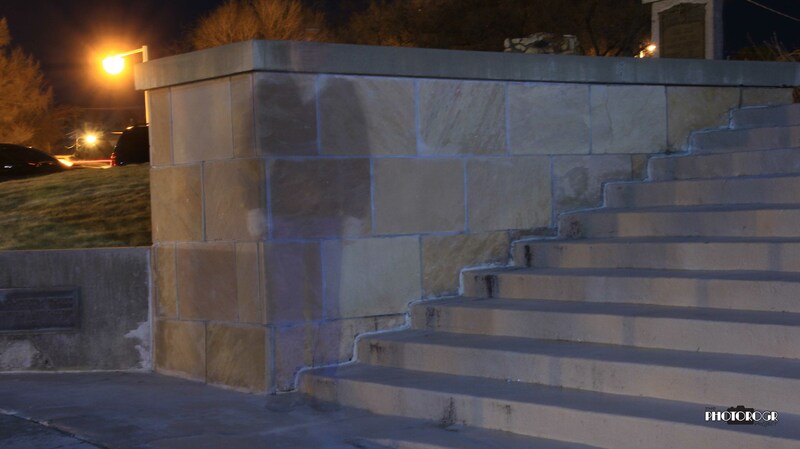 Experimenting with long exposures again, we learned how to make ‘ghost images’ on the court house steps. Can you see the mere shadow of myself? This was very fun. 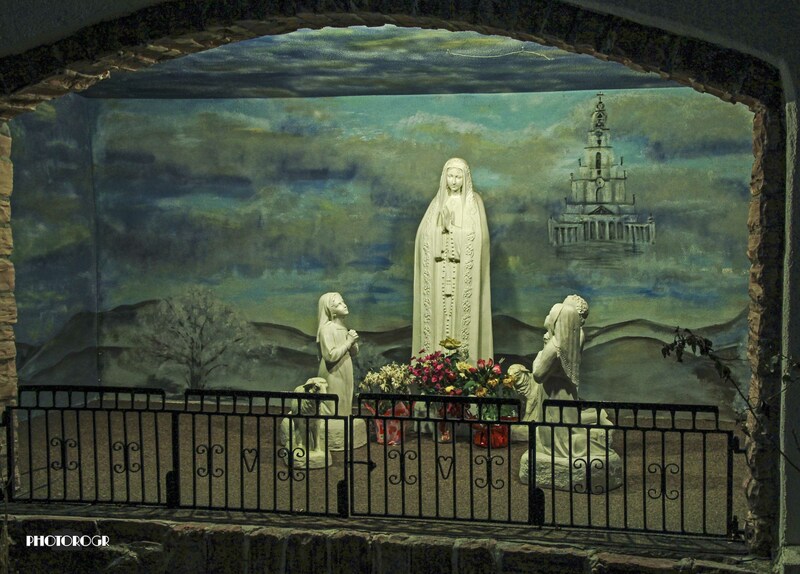 The local Catholic Church has this beautiful display outside. I made several images using different settings. This was the best image out of the camera, but still took a little work to bring out the colors on the walls. It took most of the night to warm up from the ‘chilly’ evening, but my camera and I were ready for the Composition class on Thursday. M.D. Welch taught us the basic elements of composition, and then cut us loose to practice. I traveled to Winnemucca often when I worked for the Nevada Department of Transportation, but I looked at the community with different eyes on this trip. Here are a few of my images from Thursday. This is an image that I made for my weekly photo challenge – mirrored images. 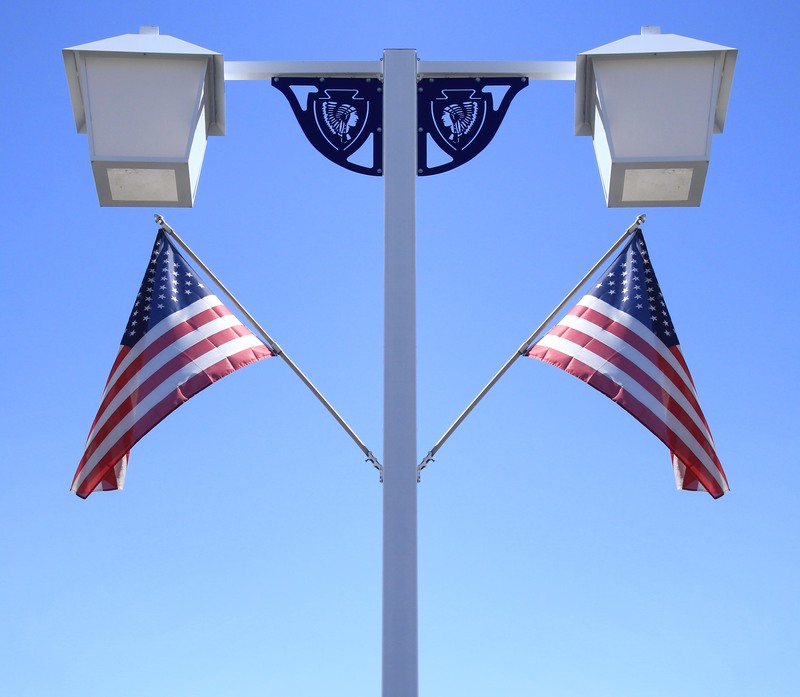 Winnemucca has these beautiful light poles, but they only have the light, flag, and Chief Winnemucca gusset on one side. I copied and flipped the original image to create this interpretation of their street lights. I went back to my architectural roots with this building. 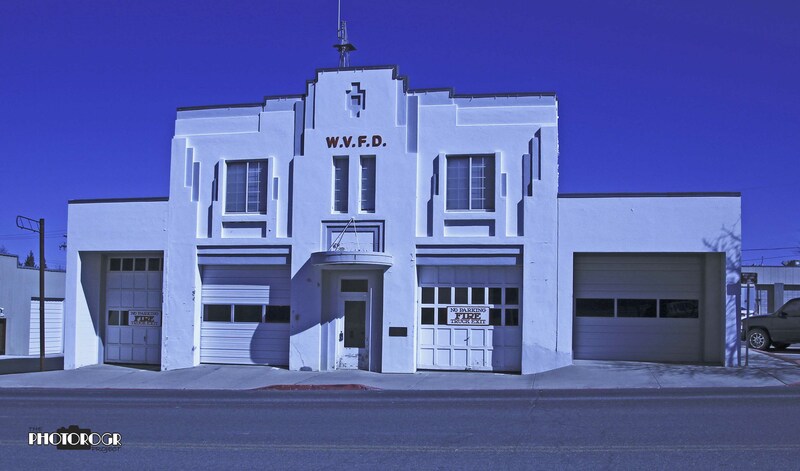 This beautiful Art Deco style is home to Winnemucca’s Volunteer Fire Department. The blue tint to the picture was quite accidental, as I had the white balance on my camera set for the previous evening’s light. Sometimes those accidents work, but most of the time they don’t – at least for me. Take a look at the ‘not blue’ image on the Shooting the West page to appreciate the building in more natural light. I kind of like this one. As with many cities in the western U.S., the rail road is a big part of Winnemucca’s history. Amtrak still stops here, but the train station is more of a covered waiting area than a traditional train station. In my mind, the architect successfully integrated traditional elements of railroad stations into the design. 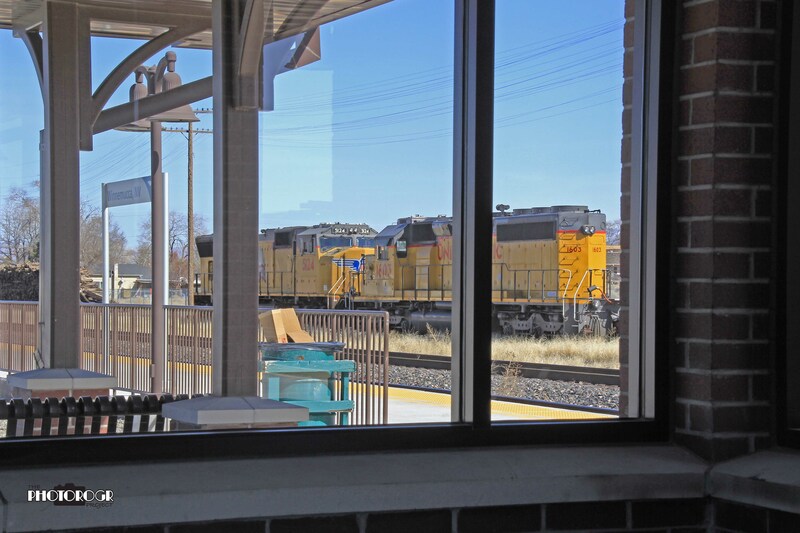 In this image, two diesel engines on a siding are seen from inside the station. On the left, the sign identifies this stop as Winnemucca. And then came two days of presentations by world class photographers, with subjects that included the California Missions, aerial photography, landscapes, time lapse, and trail camera photography. Using images submitted by attendees, one presenter showed how to use Photoshop to edit and repair images. As part of STW, participants can enter a picture in a competition titled ‘Give It Your Best Shot.’ The presenters and participants choose their favorite pictures and the images were breathtaking. No matter your interest, experience, or skill in photography, Shooting the West is a ‘must do’ for anyone with an interest in photography. I encourage you to go to http://www.shootingthewest.org to experience this great event for yourself, and consider attending next year, April 25 to May 1, 2016. 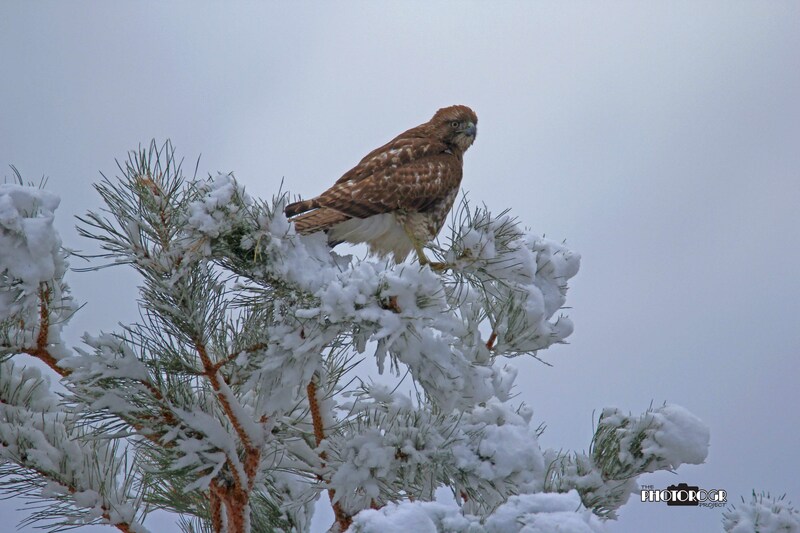 Oh yeah, during my R&R time, I bumped into a Hawk on a snowy morning. I just can’t make a post without including a Raptor picture or two. Yes, it was a cold morning and, amazingly, we had snow on the ground and in the trees. 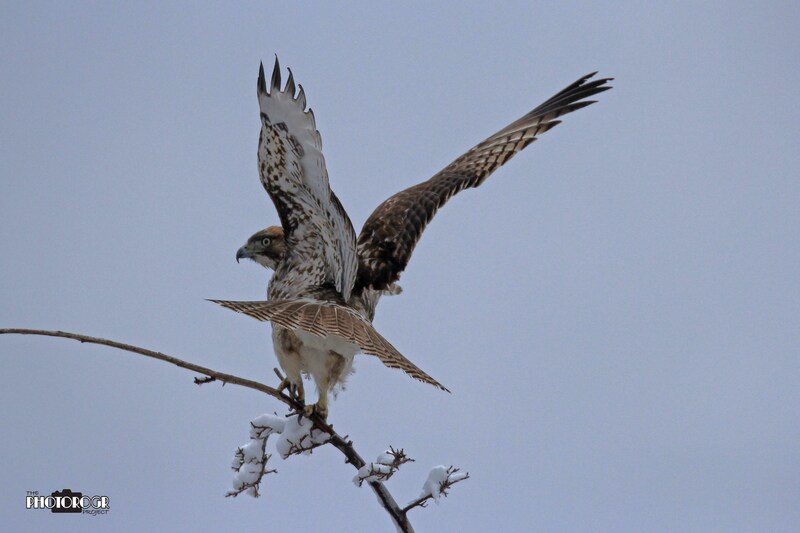 Same Hawk, different tree. I’m not sure if he was making sure I saw the liftoff or if that was his way of telling me to leave him alone. As you can see, I was blown away by my STW experience. On the 3 hour drive home, I reflected on the things I’d seen, the information I received, the people I met and talked to. I found myself thinking about the possibilities and direction I want to take my photography. I haven’t yet decided what direction I will take as I continue this journey. I guarantee that you will continue to see images from the Carson Valley and surrounding area – the raptors, wild horses, and beautiful scenery. But you will also see me try new techniques and new subjects. I have an image in my mind outside a local casino, and I have a starting point to begin the exploration of that image. Looks like a wonderful op to learn and try out your new knowledge. Very pleased for you.